Definitely one for the true hip-hop heads. It’s rumored that Don only pressed up around 100 copies as a test press and loaded them off at Sandboxautomatic back in the days. Nowadays this record goes for up to 400$ on ebay. Funny thing is Don said in an interview that he didn’t really like the beat to “Stuck Off The Realness”. 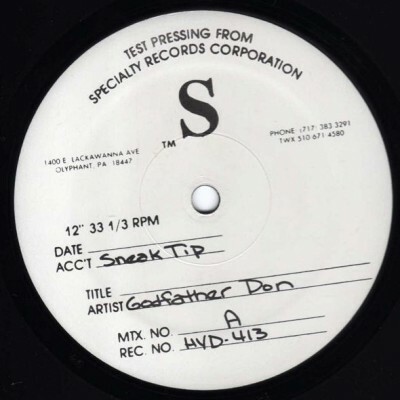 comment "Godfather Don – Stuck Off the Realness (VLS) (2000) (FLAC + 320 kbps)"